Journalist & photographer Anita Draycott participated in our Piedmont Vineyards & Lakes walking tour in October of 2009, and her article has been published in Ensemble Travel Group’s March 2010 issue of Ensemble Vacations Magazine. 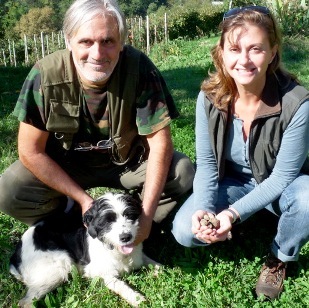 Ms. Draycott was particularly enamored with the experience of truffle hunting, a new activity that we added this year to coincide with the truffle fair in Alba. Everyone on the tour loved the truffle dog, Mara, who was deemed to be simpaticissima even by the cat lovers in the group. We also got a chance to go to a small up and coming winery, and meet the enthusiastic young proprietor Luca Tosello, and taste his Barbaresco. And of course, there were meals starring the ethereal white truffle. 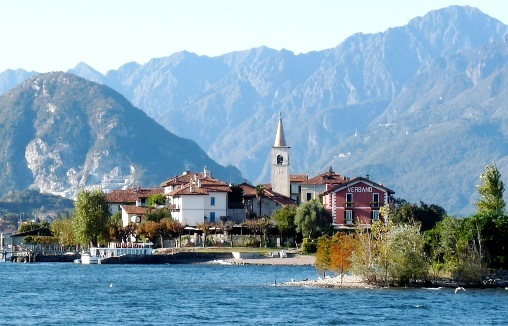 From the truffle fair in Alba and the wine region of Barbaresco & Barolo known as Le Langhe, our tour then heads up to the Italian Lakes, staying at Lake Orta before finishing at Lake Maggiore. A good friend of ours on lake Orta invited our group to her mother’s home, where she cooked a feast for us. Thanks Lilli, for your warm hospitality! Read Ms. Draycott’s full article. I just ‘discovered” this posting along with your link to Anita’s article. Don’t know how I missed it—I’ve enjoyed reading them all. Will be sure to pass this along to Laurie and Rosemary. We’ve been talking about next year and the possibility of Italy in the fall—maybe Puglia and ? ?.